I found this photo while looking at a Vegan Mattress site. Very interesting. Click for source. I like green fabrics. I like them for the appeal of working with sustainable/ethical fabrics, and I like the way they perform. 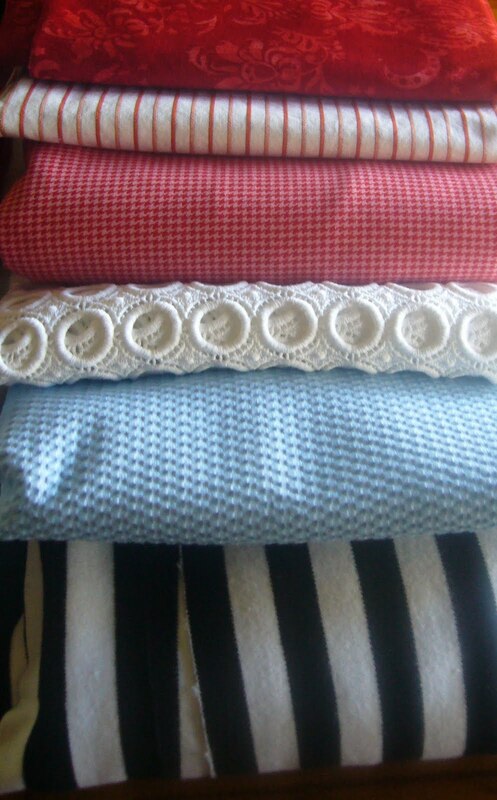 Many of you ask me where I get my fabrics- especially the knits. 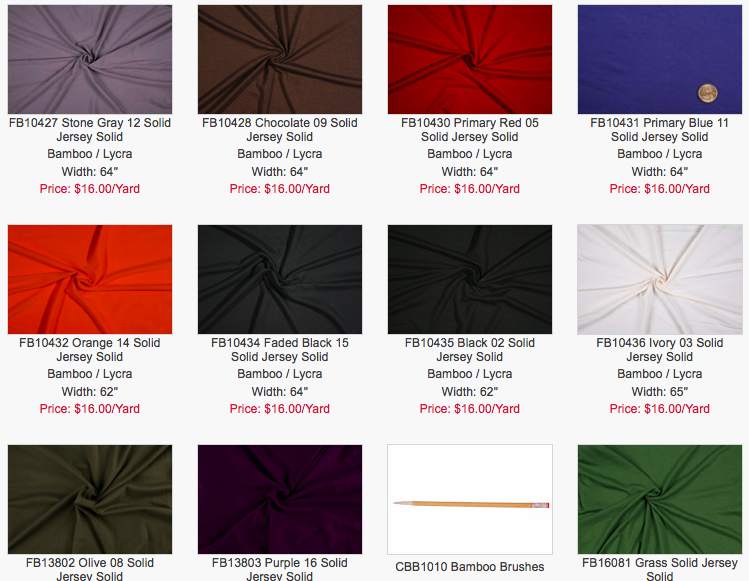 The Fabric Store opened up last year in Brisbane and I’ve hardly bought online since then. Unfortunately, TFS don’t have an online shop. 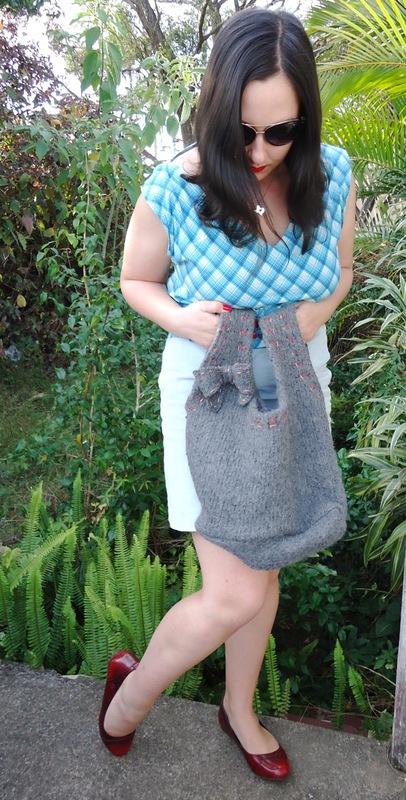 However, I’ve been scouring the internet for the best eco-knits I can find! When I first started working with hemp and organic cotton a few years ago, I could hardly find anything that wasn’t off-white. 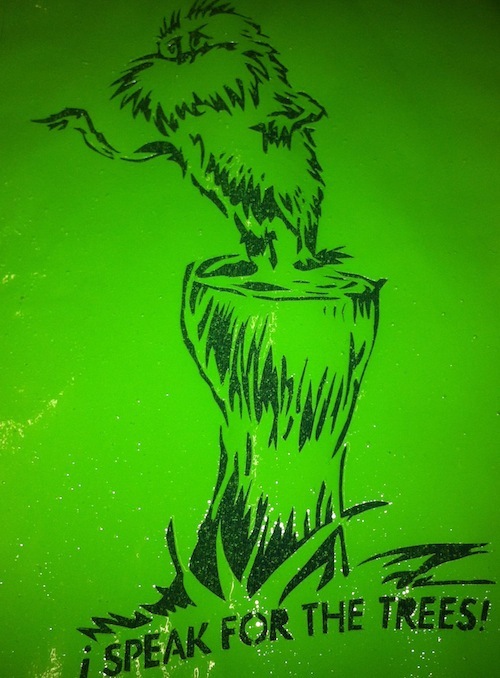 Now we have a much greater choice of colors, finishes and prints! These retailers are scattered over three continents, and wherever applicable I note if I’ve ordered from that company. Even after a week of digging around, I’m sure I missed something great, so if you know another source for eco-knit fabric, please leave a link in the comments! 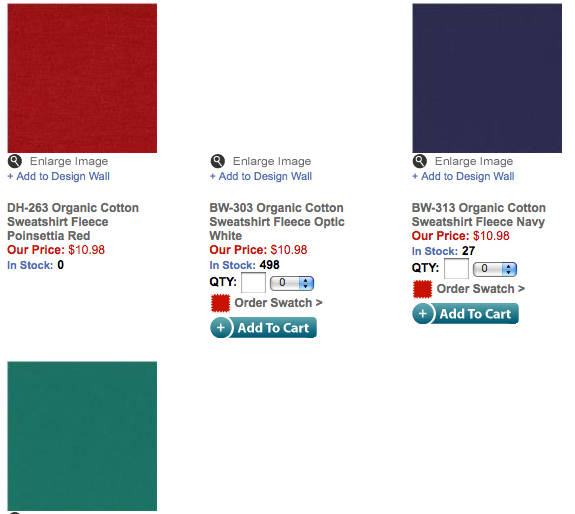 Organic cotton doesn’t wear the same as regular cotton. They’re almost different fibers altogether! 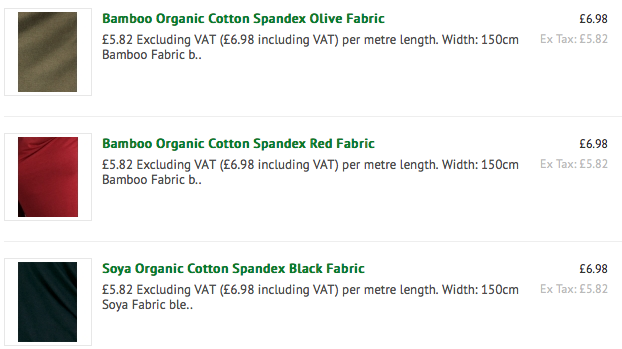 I find organic cottons become extremely soft with age, and wear well. I find I don’t mind a whiff of spandex or lycra in the fiber, 5% or less will give the fabric greater recovery and wrinkle resistance. 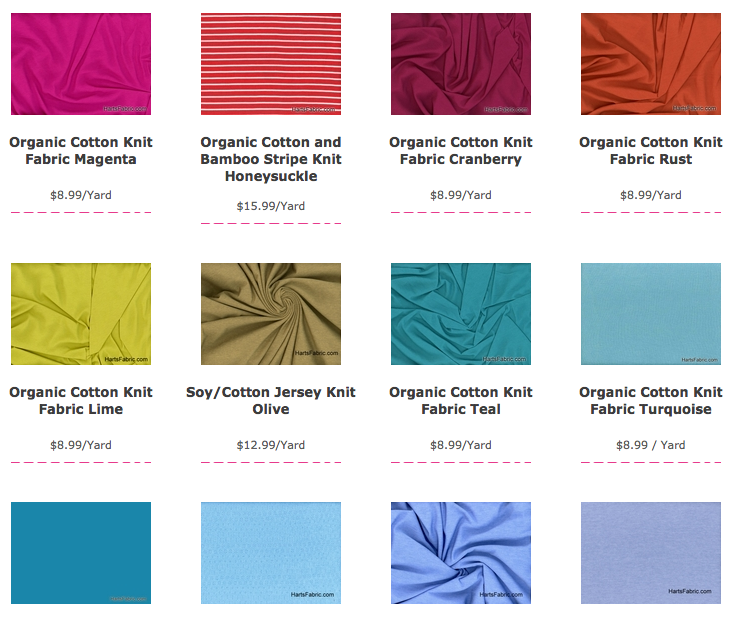 Organic Cotton, Mood Fabrics, Los Angeles- They also have a large range of organic cotton twills! 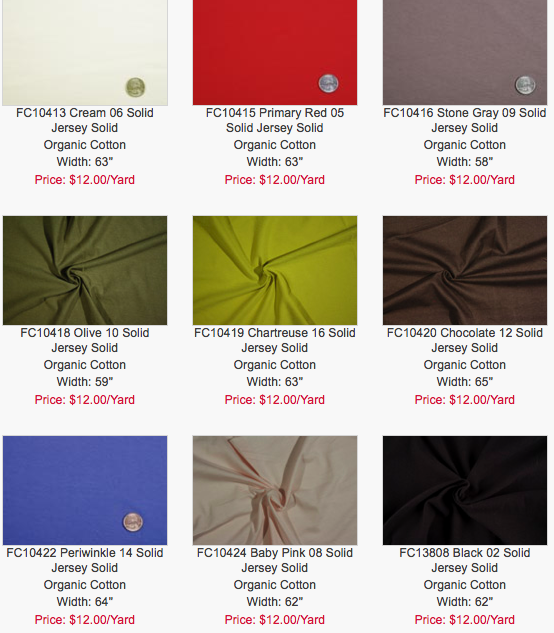 Organic Cotton Jersey, Fabric.com, United States. I have ordered from fabric.com many times, and while the shipping is steep the service and fabrics leave nothing to be desired. Organic Cotton Sweatshirt Fleece, fabric.com, United States. 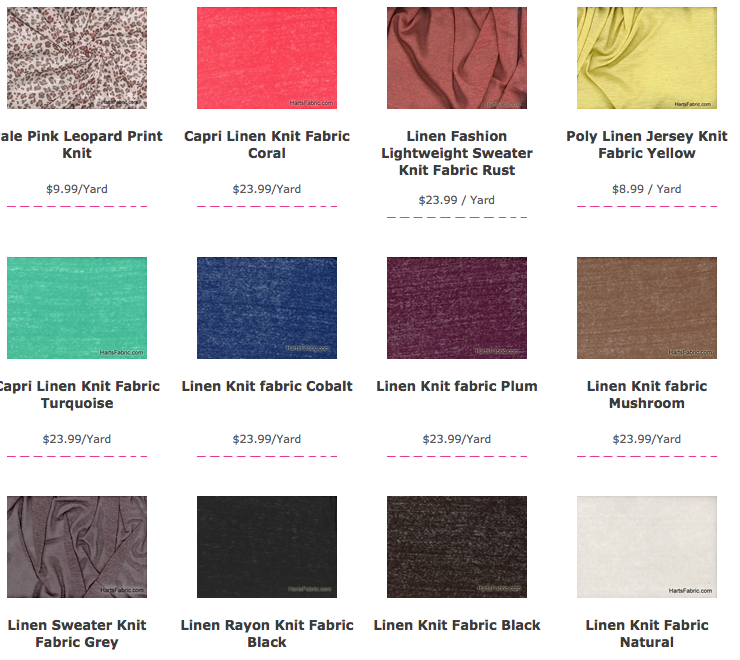 Fabric.com has a pretty large range of eco-fabrics, and they’re constantly updating. I have always been satisfied with their customer service. Once they sent me the wrong colors of jersey and rather than lump the shipping costs for their mistake, let me keep the wrong colors and sent me what I originally ordered. 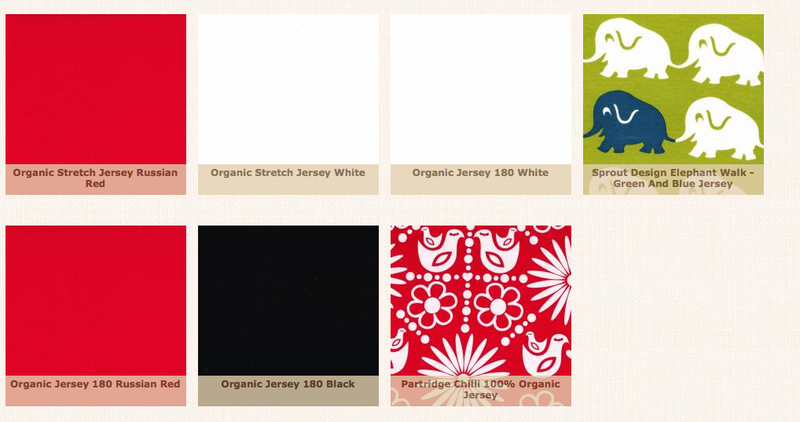 Organic Cotton Jersey, Kelanifabric.com.au, Australia. These prints are gorgeous, designed and screen-printed in Australia. The price reflects this. 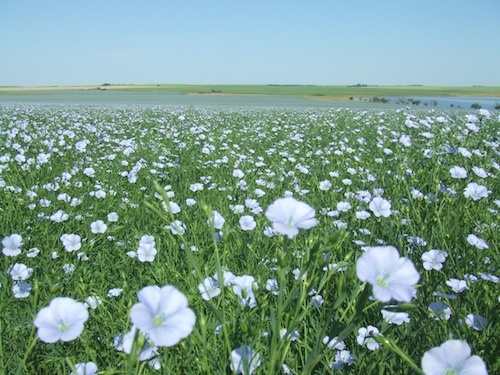 The plains are comparable to what I’d pay in a bricks and mortar shop. 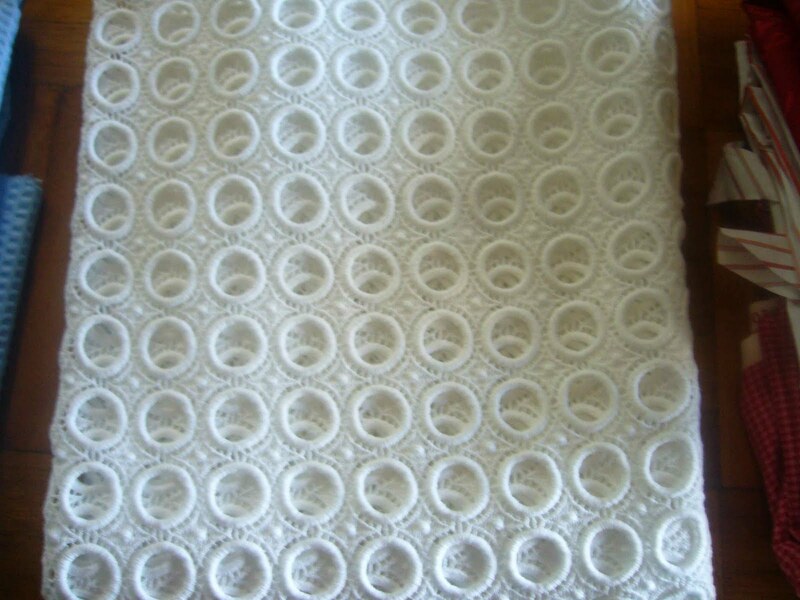 Organic Cotton Interlock, organicfabricsonline.com.au, Australia. 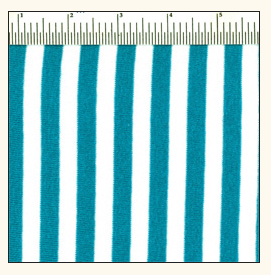 Organic Cotton Stripe, Near Sea Naturals, United States. I have ordered from them several times in the past and have no complaints. 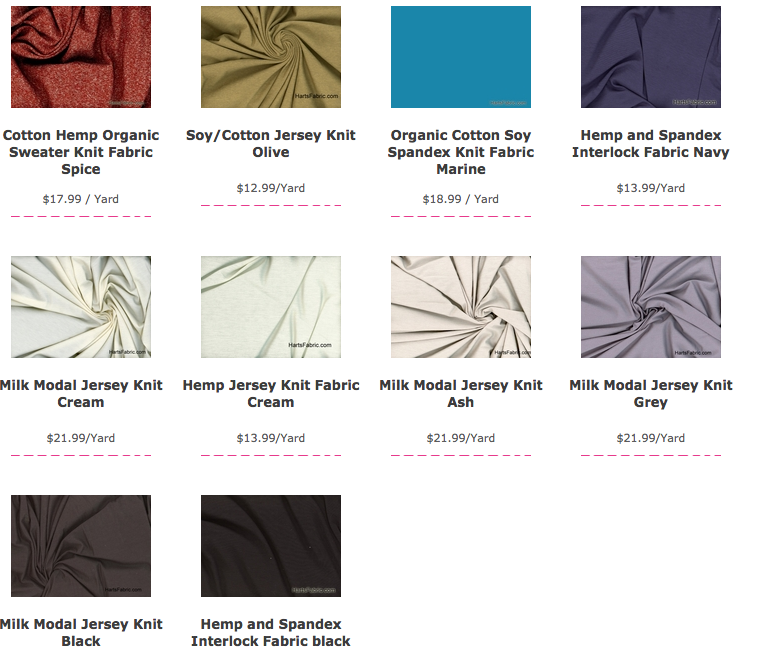 They’re one of the first online sources of hemp and organic cotton I located, and the variety of fabrics they carry is unparalleled. I had a hard time choosing just one stripe to feature! Their prices are quite decent, too. 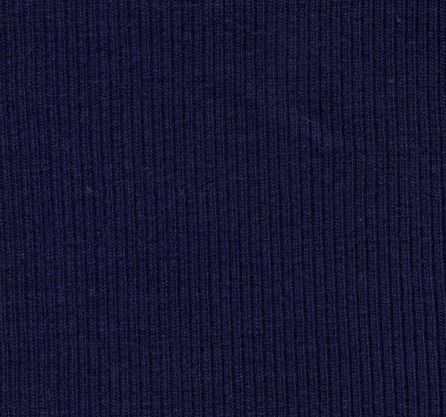 This striped jersey costs $16/yd. 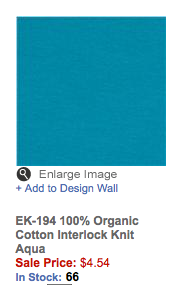 Printed Organic Cotton Interlock, Near Sea Naturals, United States. 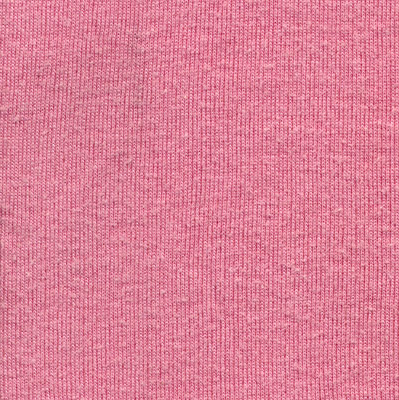 Organic Cotton/Soy, Sew Mama Sew!, United States. 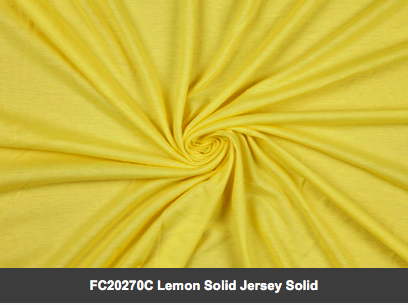 Organic Cotton Interlock, Harmony Art Fabrics, wholesaler. 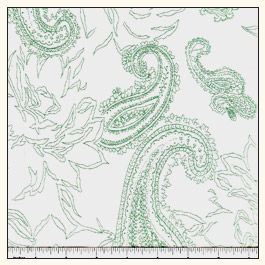 They have a beautiful site with well-chosen coordinate suggestions, and a great list of retailers who carry their fabrics! 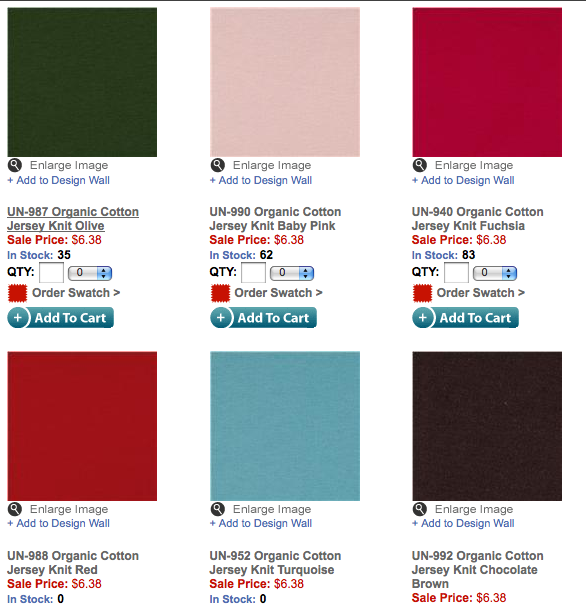 Organic Cotton Plus carries a nice range of undyed organic cotton knits, and is based in the United States. 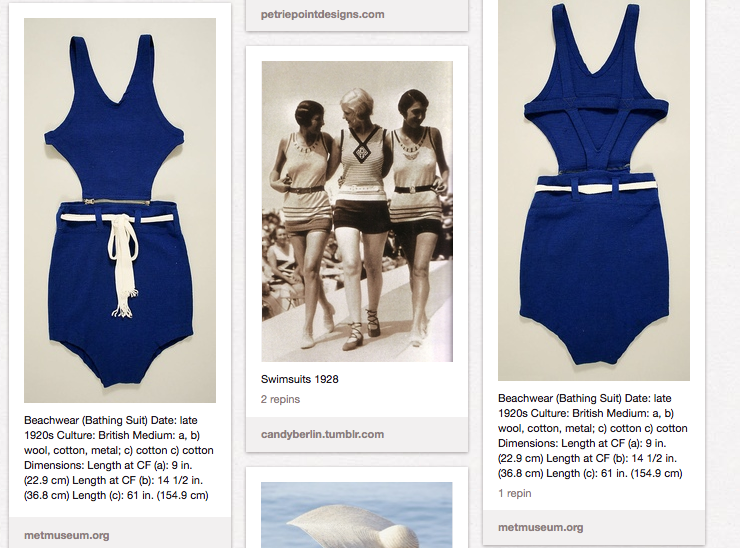 While I enjoy sewing and wearing hemp fabric for a raft of reasons, hemp knit fabric is harder to come by. I’ve noticed more and more types of hemp knits in recent years, but the colors are usually quite limited. 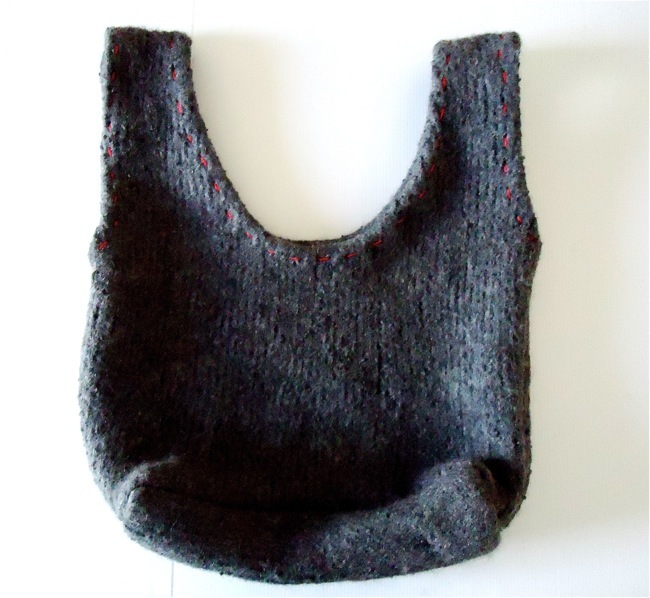 Also, I find that hemp knits feel curiously “gritty” at first until the fabric softens with washing. Hemp smells like linen. Except stronger. I really like that. Hemp stretch, Margaret River Hemp Company, Western Australia. 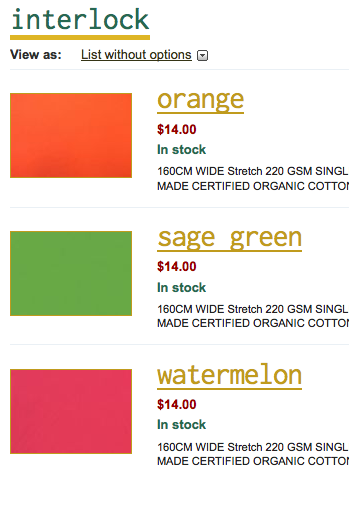 I have ordered from them several times, they’re a great supplier even though the colors are limited. 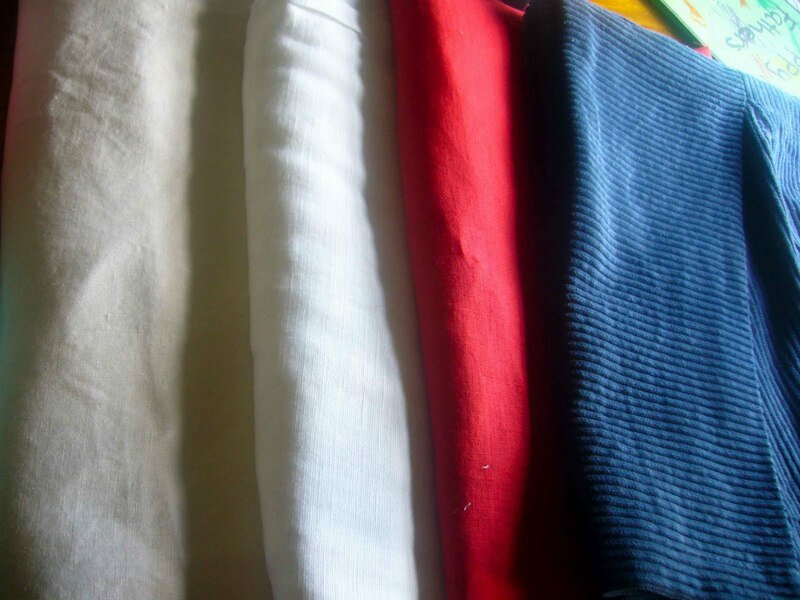 Various Undyed Hemp Stretch Fabrics (check out the sweater knit! ), Hemp Traders, United States. 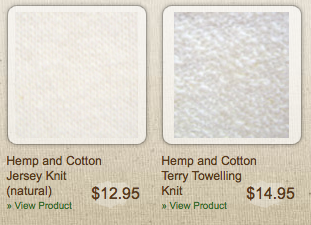 Hemp and Soy and Milk knits, Hart’s Fabrics, United States. 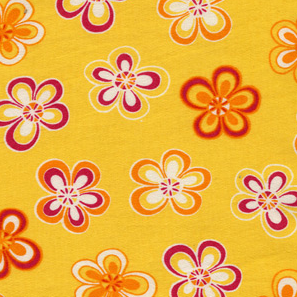 Hemp/Organic Cotton Printed Jersey, Pickering International, United States. This is a wholesaler, but their range of knit eco fabrics gives me hopes for some great new fabrics that might show up in shops online and off! 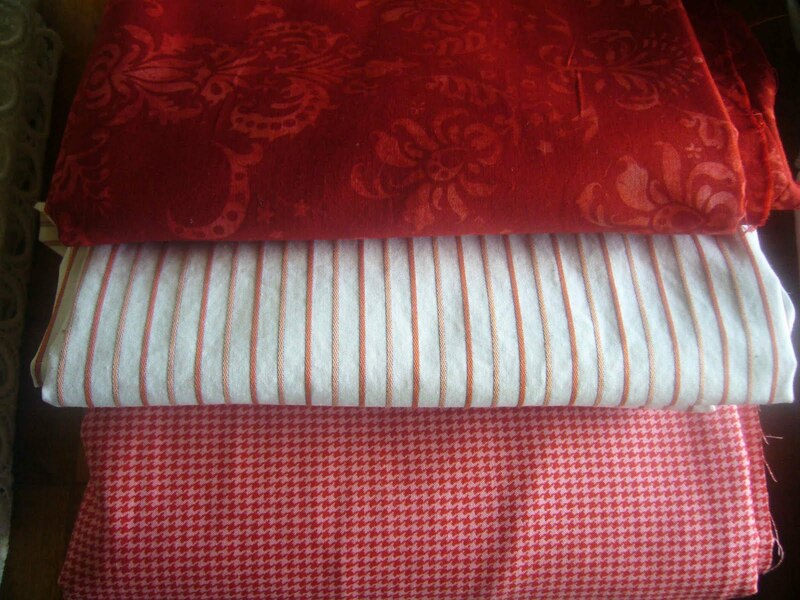 Many, if not most fabric stores want to provide their customers with the fabrics the customer desires. 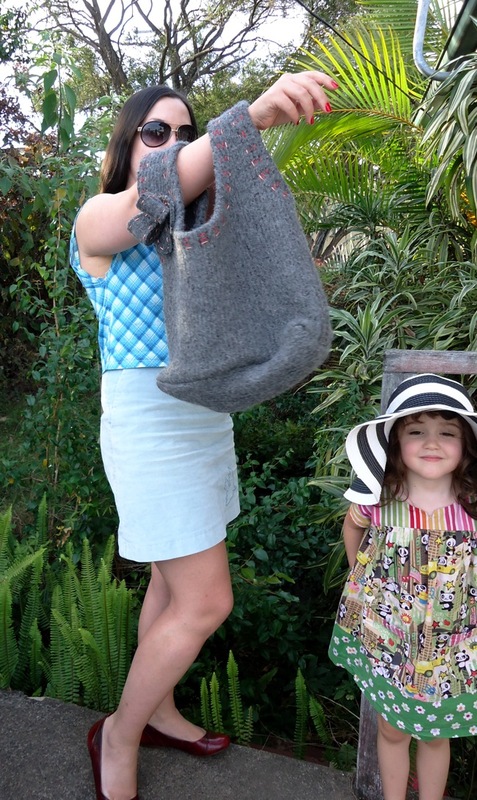 Don’t be afraid to politely request eco-knits- the shop owner won’t know someone wants these fabrics unless you tell them! 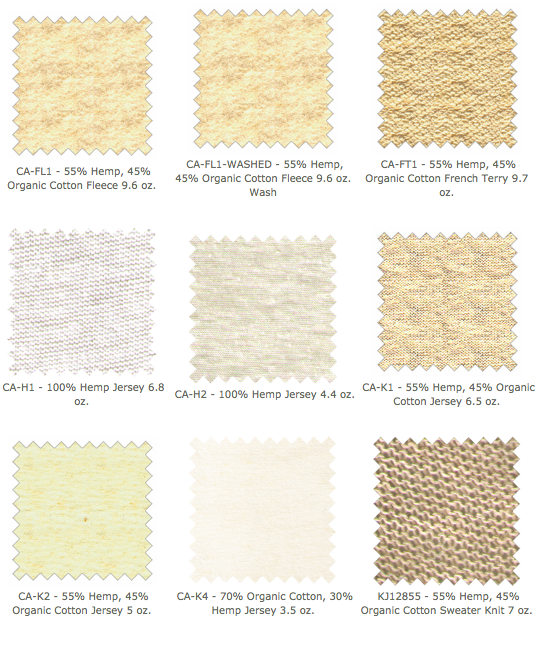 Hemp Fabric UK also stocks a range of undyed hemp and organic cottons. 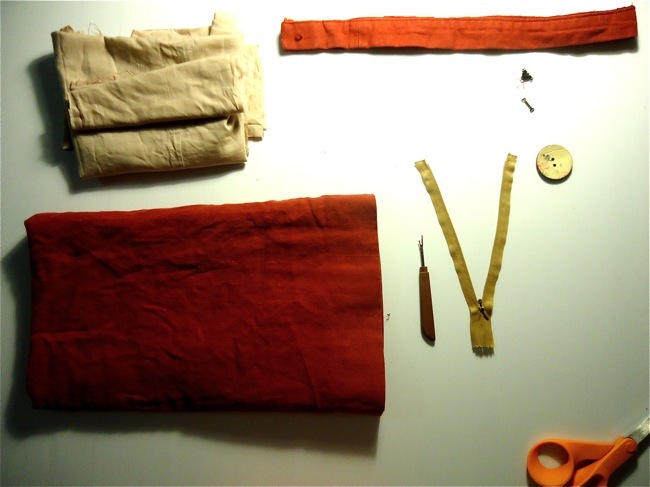 From what I unearthed when I looked into the linen-making process, as well as from ongoing reading on the topic, I consider linen an “eco” fiber. 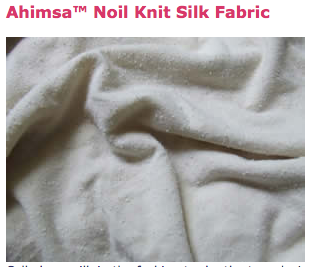 Part of this is due to the relatively low-impact method of farming and processing, and part of this is due to linen’s “endurability.” This fiber ages extremely well and lasts forever. 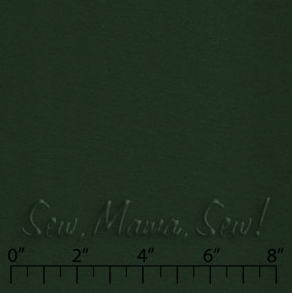 Linen jersey, Mood Fabrics, Los Angeles. For your interest, check out a thread on laundering and cutting linen jersey at Artisan’s Square. This is not an endorsement of the thread, I think they may perhaps be a bit precious about it all. My own experience with linen jersey is that it does fluff and shed in the wash, but I expected that from the moment I clapped eyes on it. The jersey I worked with that shed lint looked like it would shed, like a close-cropped angora. 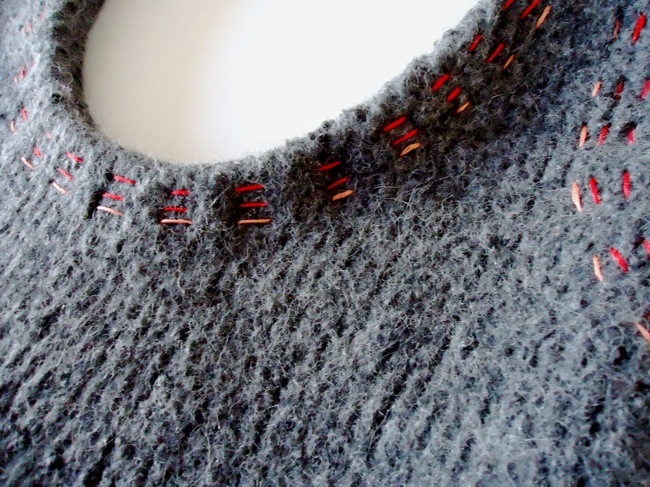 The linen-cotton slub knits I’ve worked with did not shed. 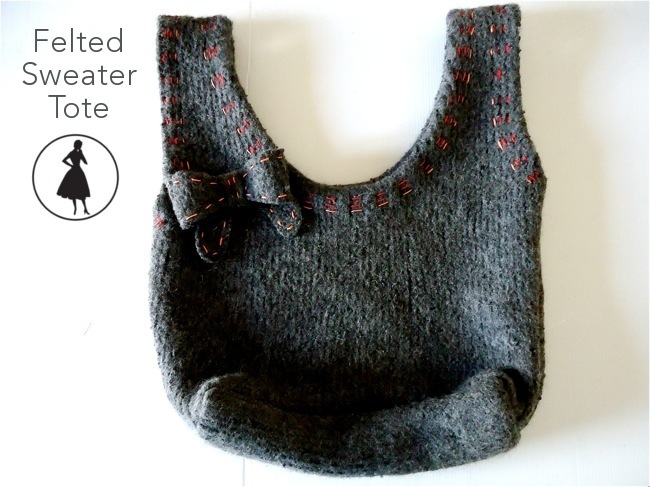 “Skewed” knits are usually caused by bad cutting in the factory, simply open out the fabric and cut the pieces singly. 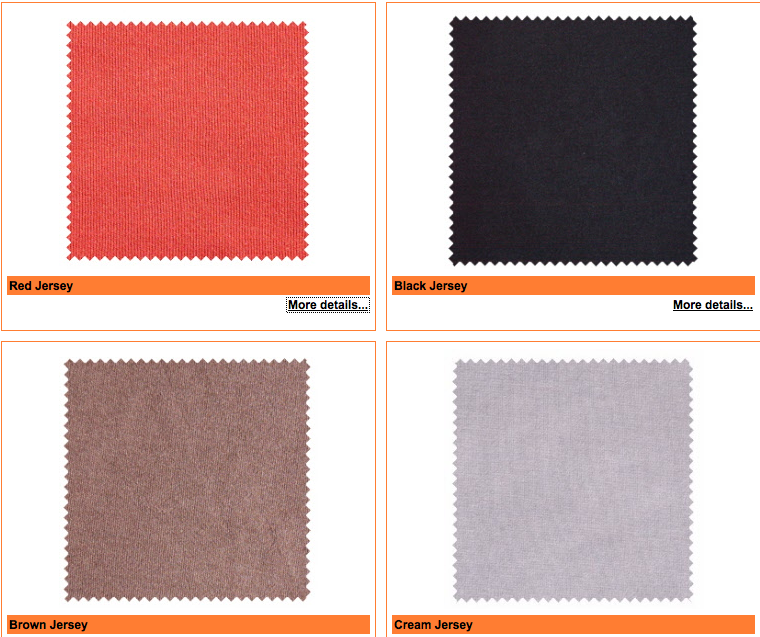 85% Polyeter, 15% Linen, Fabric Mart, United States. 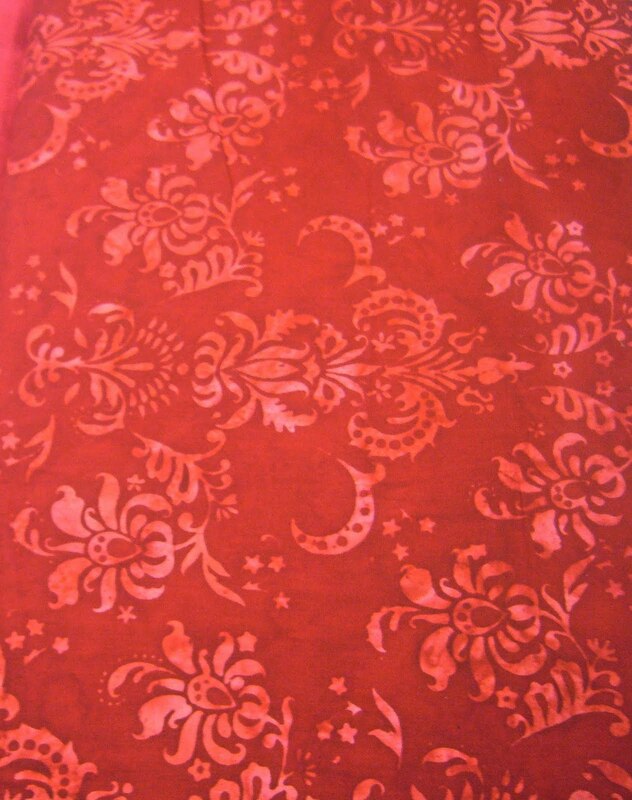 I only mention this fabric because I simply can’t find any other linen jersey for sale online, and I won’t link. Why someone would mix this much polyester with linen escapes me. Linen jersey doesn’t really wrinkle. Linen fibers are tough and strong. They take dye and abuse very well. Adulterating the fibers with polyester would severely alter the nature of the linen, its breathability, its scent, the drape. Polyester is also not good for our water. 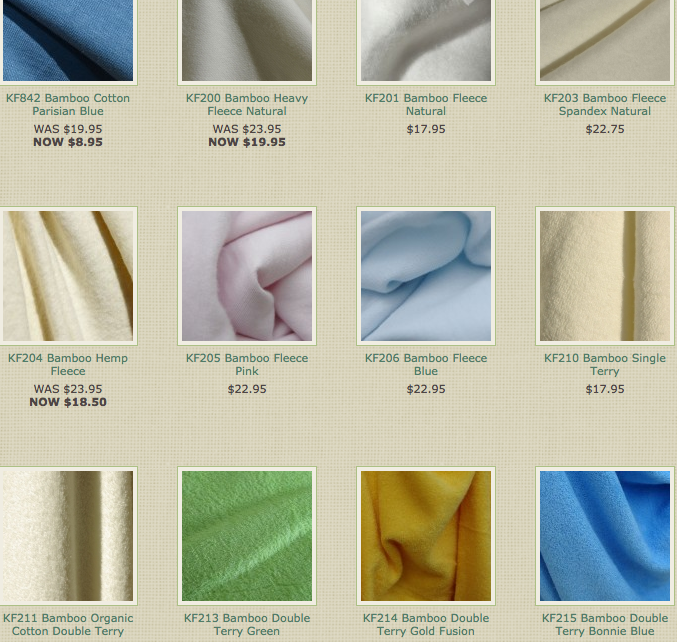 100% Linen jersey, Hart’s Fabrics, United States- wow! They have such a great range! Ali Baba has a truly maddening variety of wholesale linen jersey, but I just can’t buy 400kg at once! 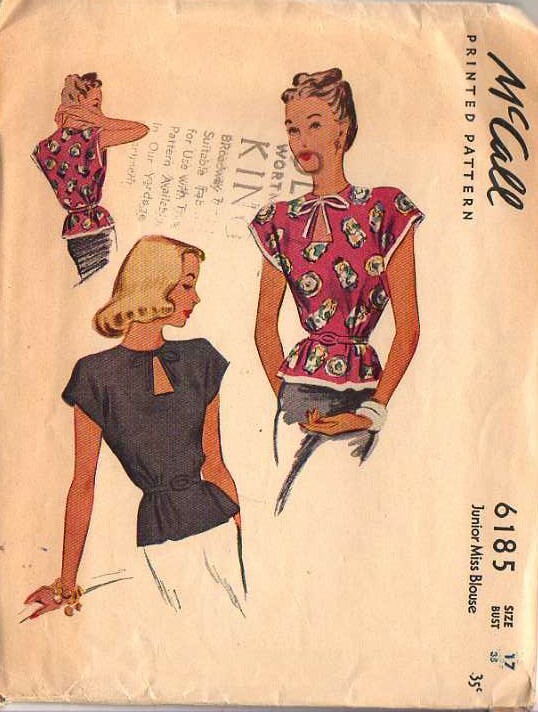 I haven’t had a chance to play with a Tencel knit yet, but I see them more and more when I go to The Fabric Store, often blended with other fibers. 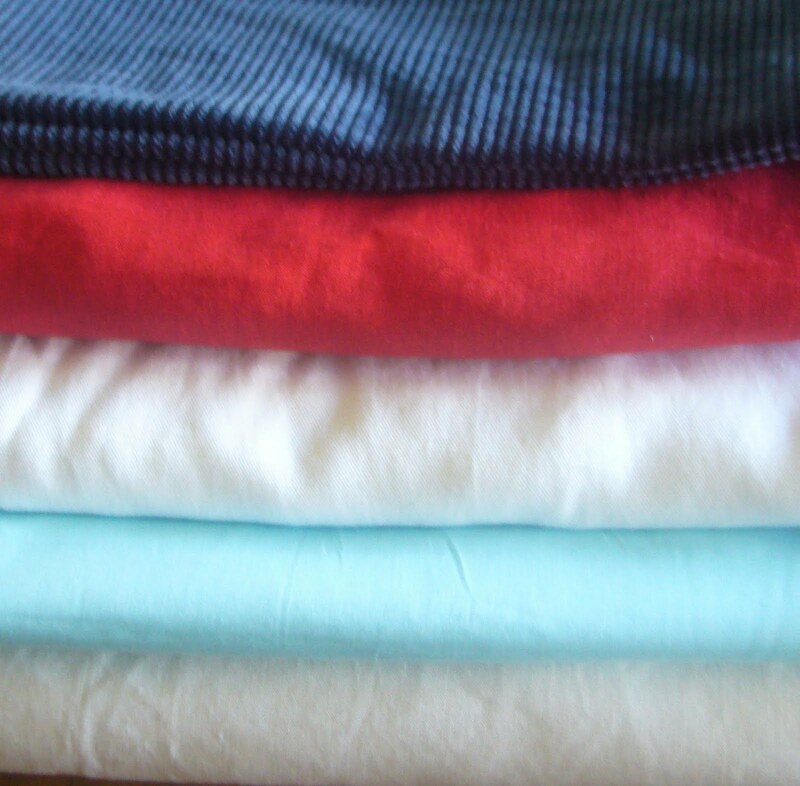 Tencel is basically a rayon that’s produced cleanly and sustainably. Peace Silk- Wild silk, violence-free silk. Carded and spun, not reeled. Peace silk larvae are permitted to leave their cocoons before the silk fibers are harvested. 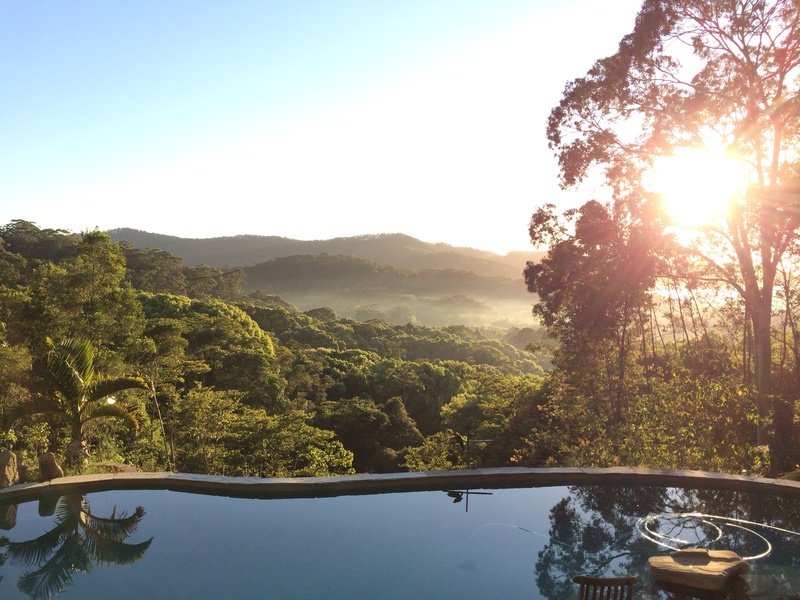 Many peace silk operations also support local artisans, organic farming practices, and good labor ethics. 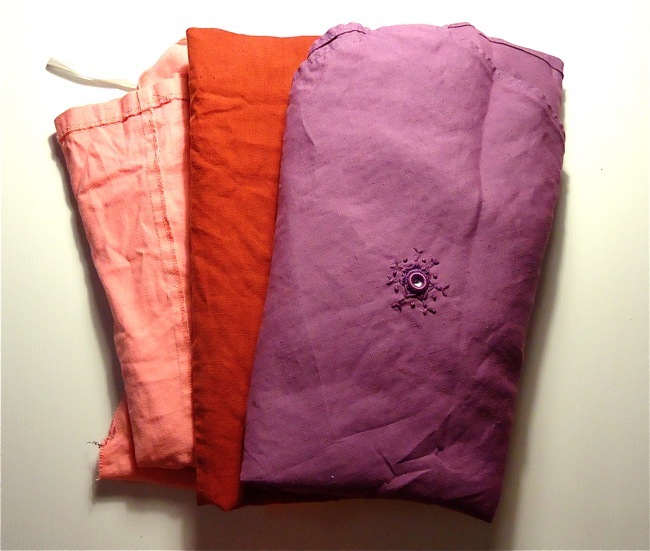 I wrote about peace silk here, and you can read more at Aurora silk. The silk produced this way is more of a “utility” silk than a “precious, precious” silk, and it wears very tough. This is not my favorite fiber, but it’s not terrible either. 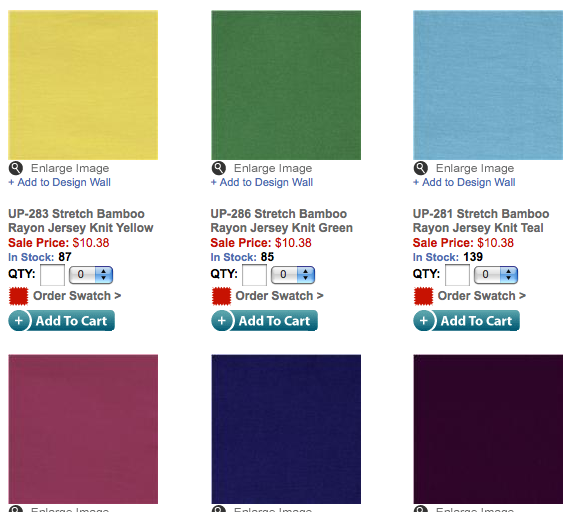 I find it tends to pill or get “fuzzy,” the fabric likes to grow, and lightweight bamboo can be somewhat tempermental. That said, it drapes beautifully and feels great against the skin. Eco-fabrics have come a long way in the past few years, and I hope in the future we’ll have even greater variety for our sewing! The way to make that happen is to ask for it. Most shops, especially fabric shops, want to make their customers very happy. Click to see a fairly good, if fabric-advertisement-ridden, assessment of various fibers- how they're produced and their properties. I’m no fan of synthetic fabrics. They’re joyless textiles. 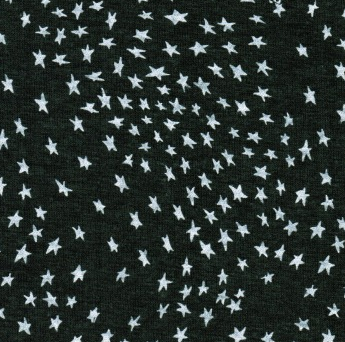 I hate the feeling of synthetic fabrics in my hands, and the scent of pressed polyester makes me ill. Silk, cotton, linen, hemp, wool, cashmere and tencel all have particular pleasant scents but synthetics reek and ruin my sewing experience. 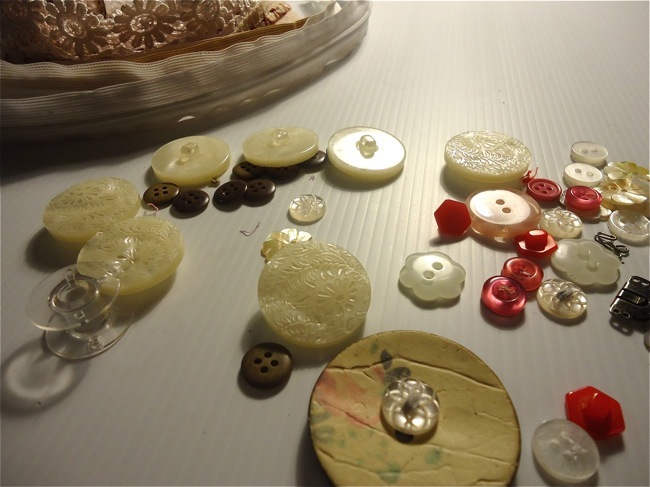 They don’t press reliably, and inhibit the sewing. 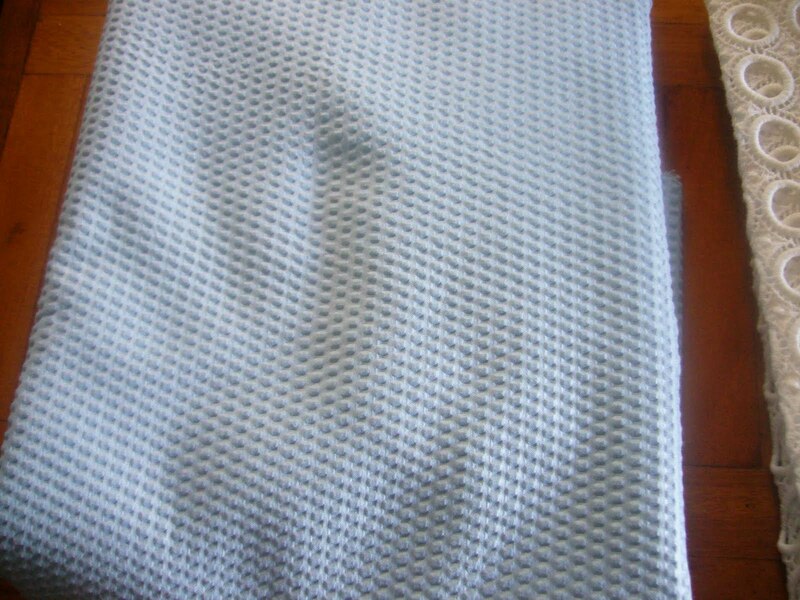 (tried gathering on polyester wovens, anyone? Ick.) 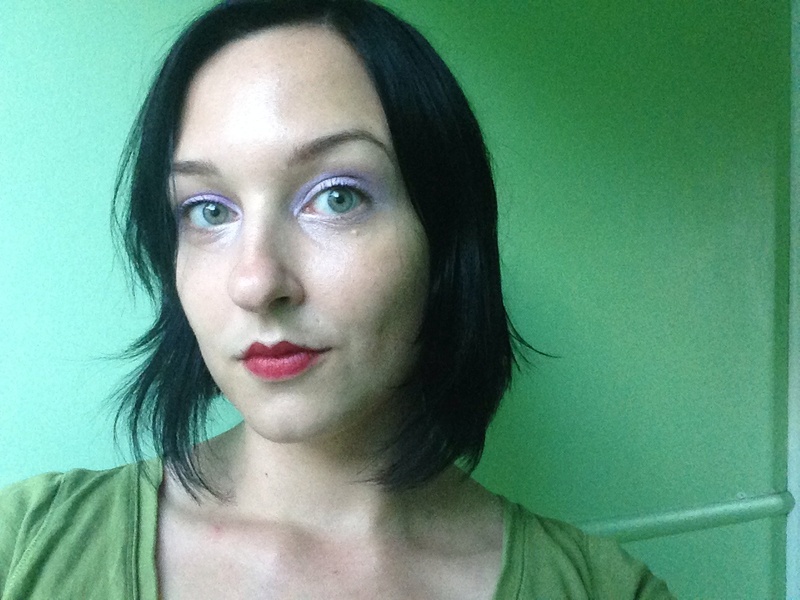 Besides, I find synthetics don’t look nice as long as naturals. They pill and wear more quickly, and many synthetics become “plasticky” over time. 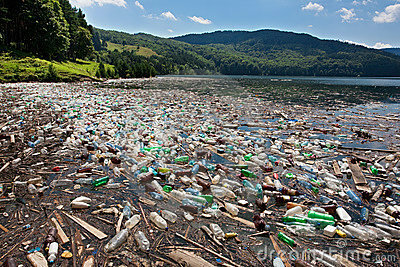 “PCBs, DDT and other toxic chemicals cannot dissolve in water, but the plastic absorbs them like a sponge. Fish that feed on plankton ingest the tiny plastic particles. Scientists from the Algalita Marine Research Foundation say that fish tissues contain some of the same chemicals as the plastic. The scientists speculate that toxic chemicals are leaching into fish tissue from the plastic they eat. Sometimes when I hear stories like this, I feel overwhelmed. What can I do? Why is every aspect of “modern” life excessively poisonous? Is there any possible way we can reverse or heal the damage that has been done? Will my daughter be able to eat fish when she’s my age, or will they be too toxic? This is a new kind of housing being developed in Nigeria. Builders pay young men to pick up plastic bottles and fill them with dirt- which keeps the young men out of trouble and cleans the streets. The buildings are bullet proof, earthquake resistant and the dirt and plastic insulates the houses well and cheaply. This is the flip side of plastic pollution- innovation, invention, making do with what’s to hand. Difficult circumstances can bring out latent creativity in people. How interesting, how curious, to think that in the future people may live in houses made of our parents’, grandparents’ and our own rubbish. In fact, we may have no other choice. Make Do and Mend. At least I won’t be wearing polyester when that happens. What good, interesting, big and small ways to re-use garbage have you run across lately? What are your thoughts on the synthetic fabric issue? It is just one more damaging thing we can’t help, or another reason to eschew synthetic fabrics? Or both? Do you trace your patterns? 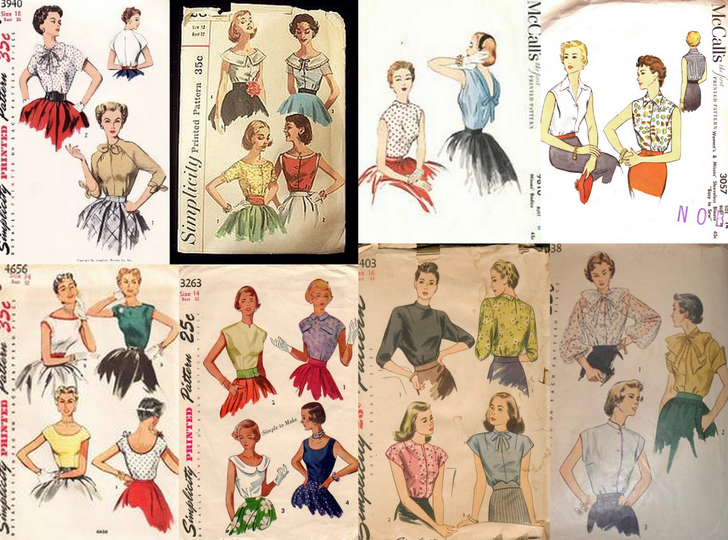 I do, and figured most other people do, but I’ve seen some anti-tracing chatter lately on discussion boards and wondered… I trace primarily to preserve vintage patterns and also to preserve a “master” pattern. 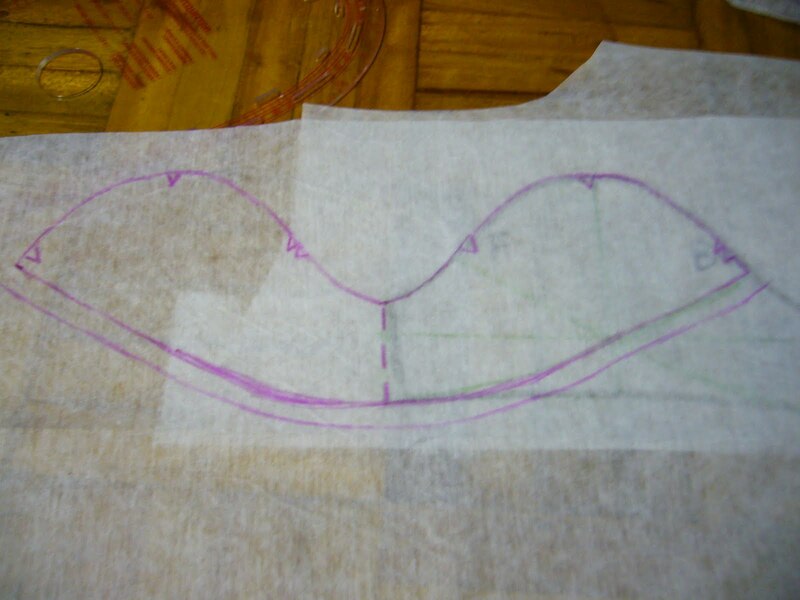 That said, I use original paper patterns for one-size patterns, craft stuff, and occasionally because I’m too damn lazy to trace it off. 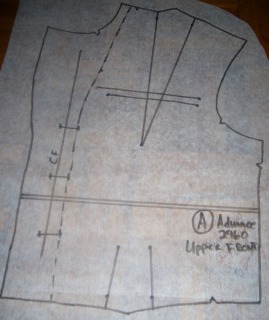 I’ve spent the past several months awash in a sea of polytrace pattern drafting medium. Sometimes scraps of polytrace collect in drifts on the floor while I’m working. I use it as frugally as possible, but I still work through a large amount of it. 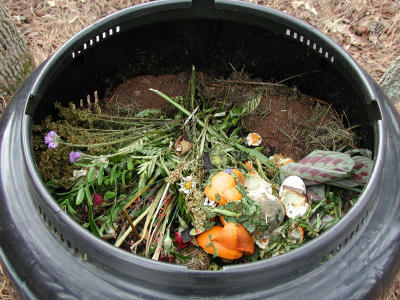 This is not my compost bin, but mine looks almost identical. It cut our trash output almost in half and sweetens the garden. I feel guilty. Green-guilty. To me, it’s a glaring example of a simple way to reduce waste in my life. I can’t compost or recycle polytrace- it’s like a very very thin polyester felt. So I throw it away. Piles of it. That gets it off my floor, but it’s still my waste and still “out there.” I tend not to waste time feeling guilty about these things. Instead, I look for ways to change my habits. I’ve spent the past several weeks looking for a more compostable alternative, but so far I’m coming up with very little indeed. 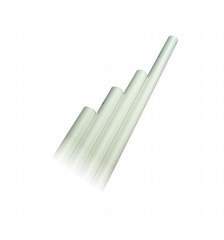 The best alternative I’ve been able to find is something called WhiteTrace, which is a translucent, durable type of tissue paper used by architects, artists, and other drafters. The widest roll is 36″ wide, and I’m accustomed to 56″ wide. I suppose it isn’t a huge problem, but it does give me pause. I also pause because I can only buy it in 50 yd rolls. It works out cheaper than the polytrace in the long run, but it’s more than I *want* to pay all at once. Of course, the most “sustainable” option would be to learn to draft electronically, but I don’t have a clue where to start with that. Besides, I enjoy using paper, pens, ruler and templates. 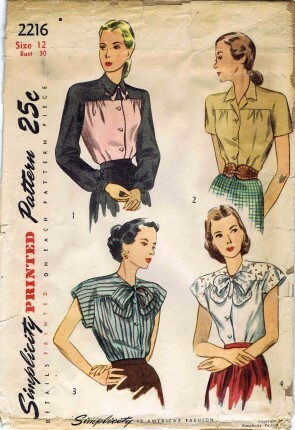 So I’d like to know- what do you use to make patterns or trace vintage patterns or designs from Burda? Is it translucent? Is it wide? Is it cheap? Where can I get some? 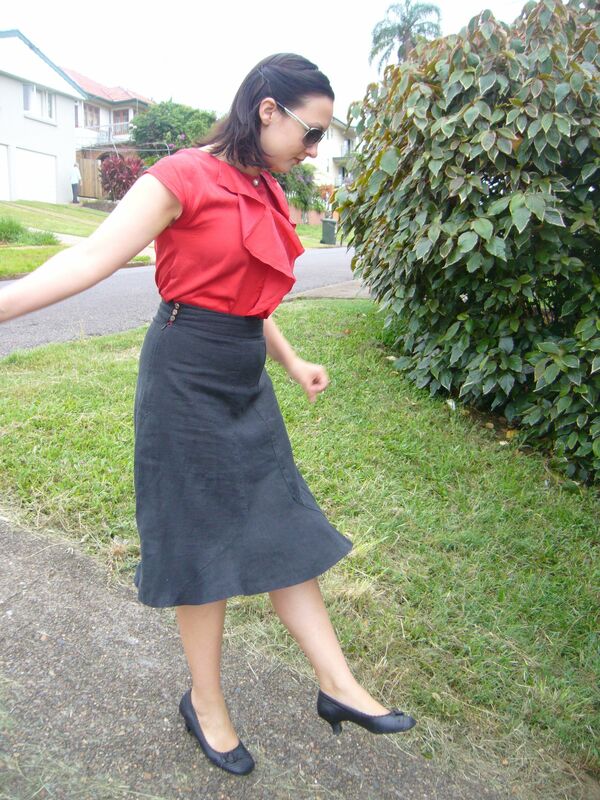 I made this skirt over a year ago. Aside from routine mending it’s still a wardrobe staple. 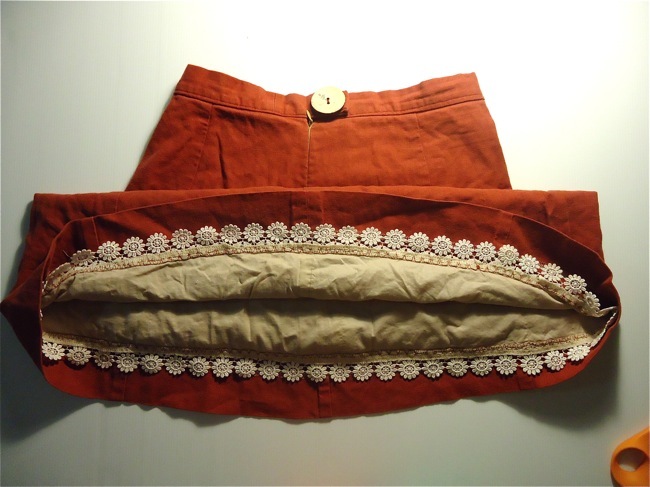 I used black bottom weight linen, an invisible zipper and a closely woven cotton voile to line it. The linen lost its “crisp” but aged well. 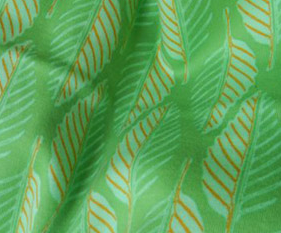 The fabric has a gentle luster, smooth and cool to the touch. Rather than creasing sharply, it tends to rumple. 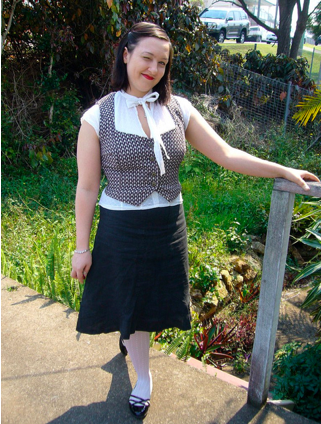 I learned how much I enjoy wearing linen from wearing this skirt. thread count- as a general rule, a tighter woven fabric with a higher thread count works well for shirts and bottoms and some dresses. Often, it will wear harder than “looser” fabrics with larger threads or more space between the threads. 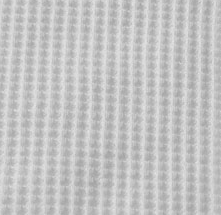 texture- some fabrics have texture woven into them- waffle weave or boucle. Often, highly textured fabrics don’t wrinkle as much as others. I like to rub those textures between my fingers before buying. “Harder” textures that don’t separate tend to last longer than “smooshier,” though not always. weave- Twill wins in my book for durability. The weave actually hides and repels stains, which is why it’s popular for work clothes and upholstery. 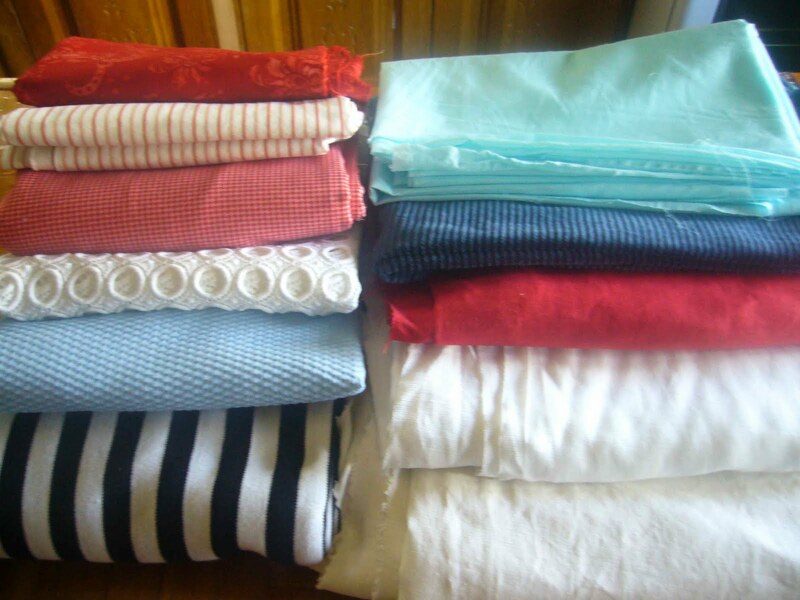 Many types and weights of fabric come in a twill weave. Bottom Line: The longer I can wear a garment, the less time and money I spend replacing holes in my wardrobe. 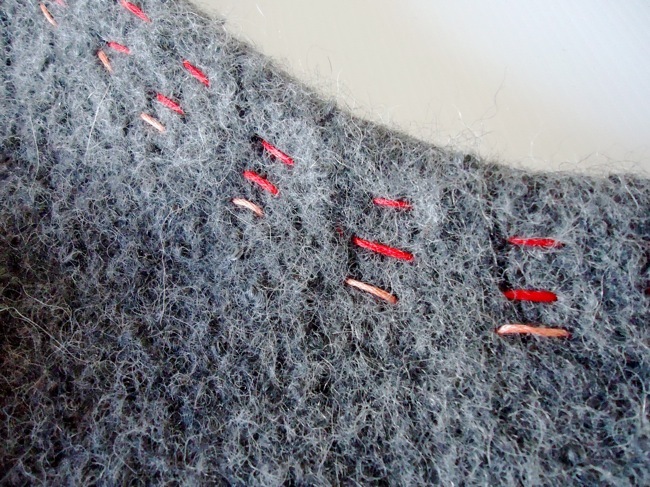 Instead, I can focus on a little “slow sewing.” As I continue to sew for myself, I seek out new ways to extend the life of the garments I create. That begins with fabric selection. How do you make your clothes? Do you have any durability or quality control tips to share? 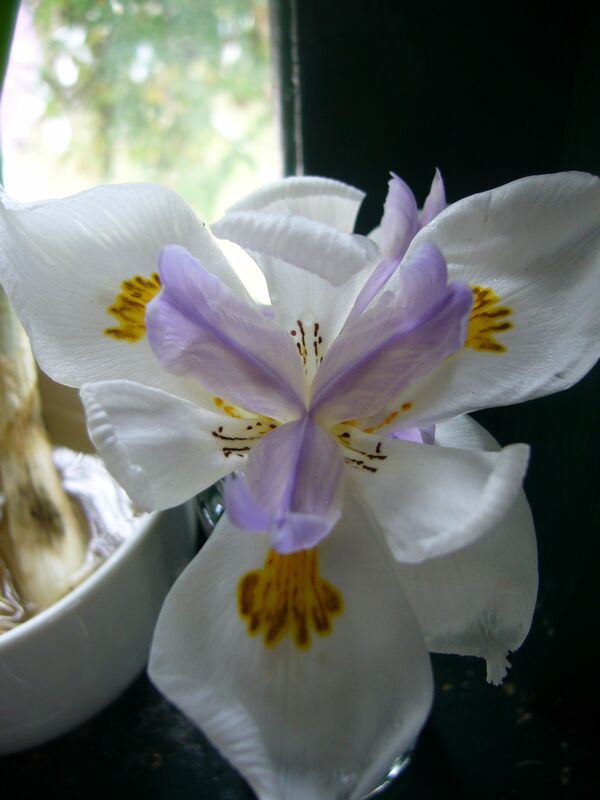 I found these African White Irises in a corner of an abandoned lot today and wanted to share them. 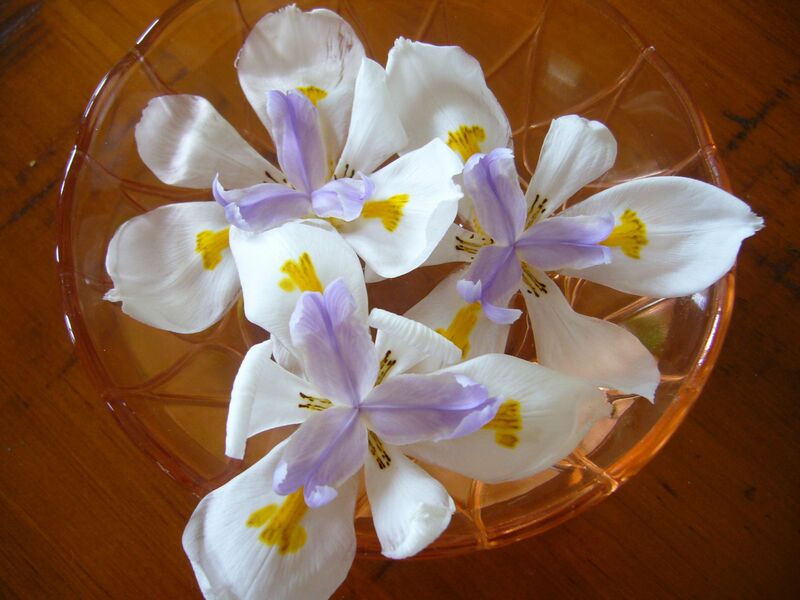 I never saw irises like these before! I like food. Cooking and baking from scratch offers the same satisfaction as sewing my own clothing. I can customize, experiment, tweak, and I constantly look for ways to create more nutritious, delectable foods. It doesn’t always work out, but my husband is a very understanding man. He once ate carrot gravy, without a sniffle. The last few months, however, I’ve found myself listlessly making the same cheap meals repeatedly, bored by the menus and restricted by careful budgeting. 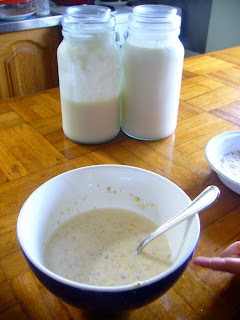 I thought to try going on the Ration- eating the same restricted diets Brits ate during WW2. I kept close tabs on our food consumption for a few weeks and came to the conclusion we eat less fat, less meat, and more vegetables than those on the Ration. I found Mireille Guiliano’s French Women Don’t Get Fat at the Library and took it home, expecting a cookbook. Mireille breaks down traditional French ideas regarding food, and explains how to apply that to your daily cooking/eating. She expounds portion control, eating seasonal fruits and vegetables, and preparing balanced meals while allowing yourself the pleasure of delicious and sometimes fattening foods. Of course, the book has recipes, but I find the philosophies of food much more inspiring. One tenet in particular caught my attention- no multi-tasking while eating. She outlines how to sit at a table and only eat, allowing yourself to savor the textures and flavors of your food. No standing up, no TV, no blogging. In the same vein, she discusses the importance of presentation for heightening the enjoyment of your meal. Mireille asks “Would you rather wash extra dishes or be fat?” and I had to laugh. While it’s primarily a health/weight-related book, I’m finding I enjoy cooking and eating again. First, I tried Magical Breakfast Cream. I don’t usually love plain yogurt, but now look forward to this every morning, and sometimes make it as a snack. 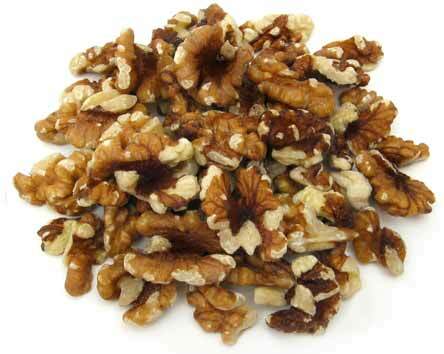 In a small food processor, grind the walnuts and cereal. Transfer to a covered container and refrigerate. To serve, spoon the yogurt into an individual serving bowl. Stir in the oil first, then the honey, creating a lighter, slightly sweeter yogurt. Top with the Nut & Cereal Mix, sprinkle the lemon juice over top, then stir it all up. Serve and savor, one small bite at a time. I use oat bran, walnuts, no oil (though I have a flask of flaxseed oil to use), and oranges. After three weeks of eating this and cutting down on two “baddies,” I feel lovely. I’m full until lunch time, too. My measurements are finally back to pre-holiday (way back before Thanksgiving) and some of my more recently made garments need taking in.